We’ve always been quite smug about the fact that Ibiza has better artists than Vegas. They can have the Tiestos; we’ll keep The Martinez Brothers and Seth Troxlers, thanks. But there’s a shift happening…the Art of the Wild, taking place March 22 – 24 will see some of Ibiza’s biggest names and brands head over to Sin City for a three-day extravaganza; dare we say it, it looks like someone in Vegas might have good taste! After a successful launch year last year, this year’s event will see some of our favourite artists and brands – Rumors, Elrow, Music On, Black Coffee, Carl Cox, Nic Fanciulli– takeover Wynn Las Vegas. And as it’s Vegas, it will be done right. 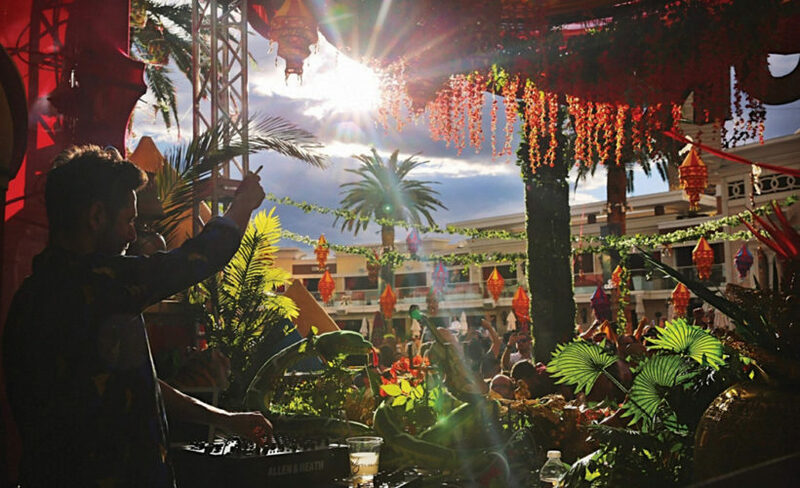 We heard the Wynn clubs last year were impressively completely transformed for each event. We will give Vegas one thing, they definitely have cash to burn, and if done right, we’re sure this is going to be a good time.